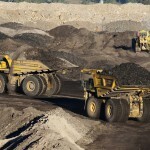 Xstrata has begun cutting coal mine jobs at its Ulan coal mine in NSW's Central West. 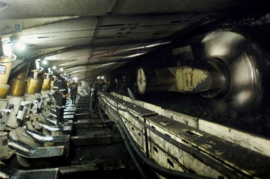 It follows from the miner's announcment that it would slash 600 jobs right across all of its Australian coal operations. 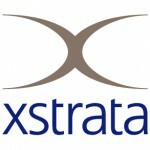 Speaking to Xstrata spokesperson Francis De Rosa at the time, he told Australian Mining that the company is "currently dealing with a very challenging market and a high Australian dollar, so Xstrata has had to act to ensure the ongoing health of the business. "This [restructuring] is part of an ongoing review." This restructuring will see the company cut 600 jobs across all of its Australian coal operations, with Xstrata explaining that "although we are not breaking down the reductions by individual site, the restructure is focused on scaling back high cost production at some of our mines". Now nearly 40 permanent positions have been axed at its old Ulan coal mine, the ABC reports. According to the CFMEU around 120 contractor positions have already gone from the mine. Union spokesperson Andy Honeysett stated that this is unlikely to be the end of the cut backs. "Hopefully it's final, [but] there is concern that there could be more," he said. "I think it was mostly a surprise to everybody that the permanent jobs are going, they've announced that there's a change in the rosters, so that's why they don't need as many people to run the rosters. "They're going back to Monday to Friday." However it is looking to move some of the workers to its nearby newly developed Ulan West mine, as well as out into its Hunter Valley operations. "Seven of the staff positions will be filled at the mine right next door called Ulan West, seven of the tradesman jobs we're hoping they'll go to Ulan West as well. "The operator jobs, there's some jobs in the Hunter Valley at some of the mines over there that Xstrata operates so we're hoping to get as many as we can redeployed to there."